Want more ADVENTURES? Take a Hike! Ever wondered what to do after having the Most Fun on Oahu with your instructors on Rainbow Watersports Stand Up Paddleboars? Well since we got your blood pumping and endorphins have been released…why not continue on this natural high by going on a easy, breezy hike! 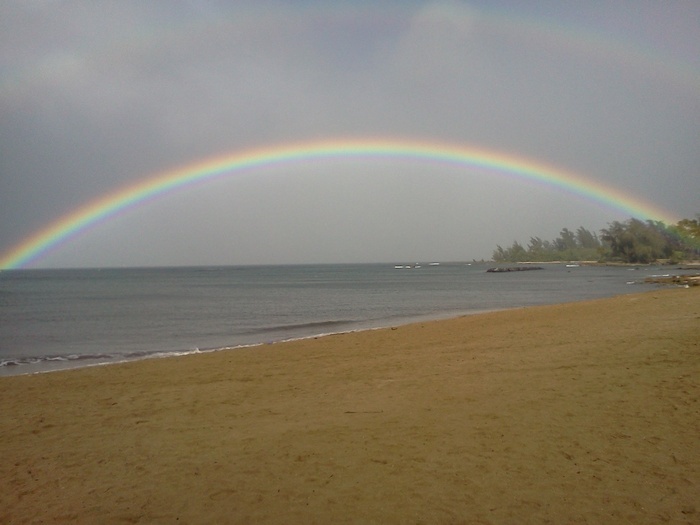 Enjoy a beach walk starting from the Rainbow van. Walk toward Pua’ena point, which is just to the right of the van. As you walk along the shoreline toward the point, take a peek inside the tidepools to see what you can find. Around the corner is Papailoa beach, or locally known as “Police Beach” because it used to be a private beach for the Honolulu police. This is also the location where the popular show “Lost” was filmed. This secluded beach is absolutely stunning, and will whisk you away to a tropical dreamland. Turquoise water, crashing waves, and cliff-like reefs entreat you along the trail. Enjoy traversing between the beach and the semi-marked trail that parallels the beach within the trees and grass. You can walk along this trail all the way to Lanikea beach park, nicknamed Turtle beach for all the turtles that tend to beach there. Also makes for a great morning beach run. Be sure to bring your camera! Nestled in Kahaluu is an easy and popular walk to a beautiful waterfall called Hamama Falls, or Waihee falls. This walk is easy enough for young kids and, as the trail is wide and “paved” in gravel, is also doable with a durable stroller (umbrella strollers are a no-go). Expect about an hour walk up to the falls and a half-hour walk down. Be sure to go right under the falls and let the water fall down on your face – there’s nothing better! 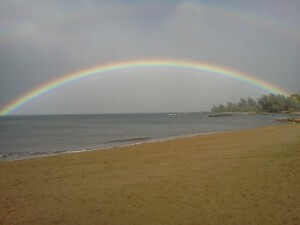 To get there, drive about 1.5 hours down the coast from the Rainbow van. Drive around through laie and Kaaawa and pass Chinamans hat and Kuuloa Ranch. Eventually you’ll take a right on Waihee road. The road ends at a metal gate which is where the trail starts. Just park anywhere on the street by the gate. Like anywhere, it’s wise to not leave valuables in the car. Have a blast guys and enjoy the ‘aina! !